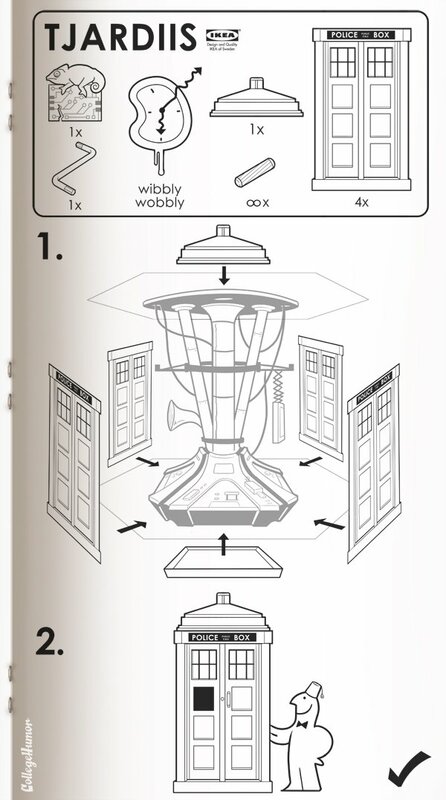 Thanks to IKEA, it's never been easier to build your very own Tardis or DeLorean time machine. Have you ever wondered exactly what it took to build Doctor Who's Tardis? What about the DeLorean time machine from Back to the Future or the dinosaurs from Jurassic Park? 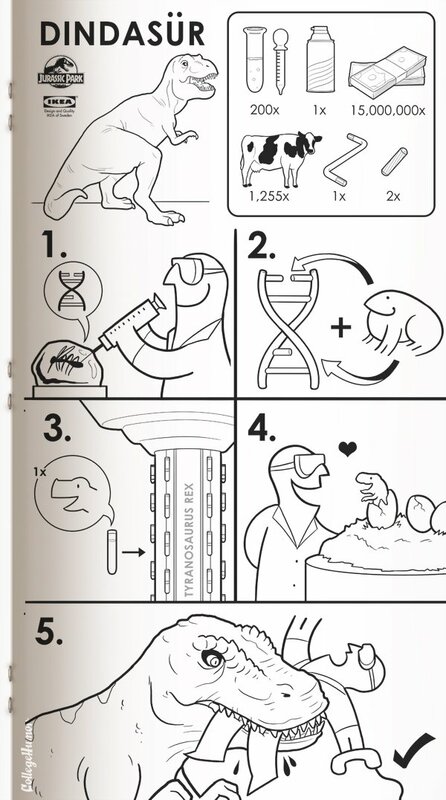 IKEA has broken these objects down to their base ingredients and instruction sets to make building them a breeze. Well, College Humor actually did it, but the result is basically the same. For those unaware of IKEA, it's a furniture store with ready-to-build furniture and other items mostly given Swedish names like Bjursta and Leksvik. 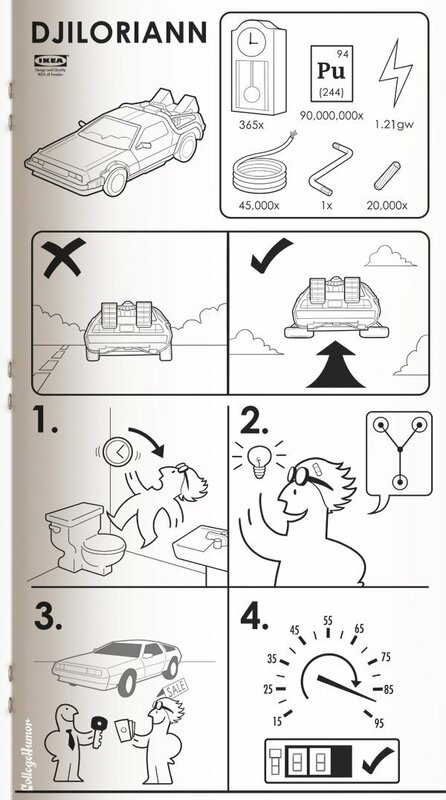 The instruction sets also give these sci-fi objects Swedish nomenclature. 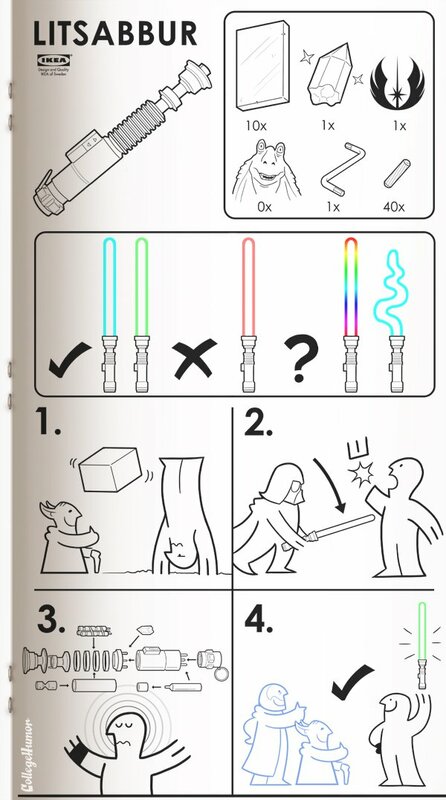 The lightsaber is re-named Litsabbur. I'd go over how to build one, but I think everybody in the universe already knows by now. Just as a reminder, if yours comes out red you're doing it wrong. The DindasÃ¼r is a much tougher build. Even completing all of the steps correctly requires the builder to be killed. On the other hand, the hard part about making a Tjardis is the ingredients. You not only need a chameleon integrated with a circuit board, but a wibbly wobbly and an infinite number of those little cylindrical wooden pieces that hold boards together. Now where am I supposed to get an infinite number of those in this dimension? The easiest build is probably the Djiloriann. Once you've got the plutonium and smashed your head on the bathroom sink, everything just comes together. The instruction set is for the flying version too, not the boring land-only version (yuck). Try all of these builds at your own risk. Don't come crying to us if you destroy the space-time continuum or get your leg eaten by a DindasÃ¼r.